*This memo was prepared for the “Evolving Methodologies in the Study of Islamist Politics” workshop, January 29, 2016. The tectonic shifts in Middle East Islamist politics over the last five years include trends within the region’s Salafi movement that can only be described as inexplicable. In 2011, Salafis in Egypt formed political parties, despite the doctrinal prohibition on engaging with modern institutions and, in 2015, the Salafi Nour Party competed in elections. In April 2013, Lebanese Salafi Ahmad al-Assir – despite his harsh condemnations of Iran and Hezbollah had previously avoided calls to violence – called on his followers join Sunni fighters in Syria and himself took up arms and led a battalion into al-Quṣayr in Syria. The Jordanian jihadist ideologue Abu Muhammad al-Maqdisi seemingly reneged on his ideological posture by offering to mediate on behalf of the Jordanian monarchy in negotiating the release of Mu‘adh al-Kasasibeh, the Jordanian pilot captured and eventually burned by the Islamic State in February 2015. And then there is perhaps the biggest irony – that the Islamic State, a group known for its exclusive and uncompromising commitment to early Islamic doctrines – has gained followers and fighters through the modern channel of social media. Here lies the fundamental analytical problem when we try to explain the actions of Salafis: How do we account for clear contradictions of ideological principles coming from a group whose entire reputation centers on its commitment to its ideology? Certainly, those who have studied Salafi communities in the Middle East during the previous century know that much of the credit for their rise to political and social prominence over the course of the twentieth century goes to modern institutions and media: publishing houses, western-styled universities, cassette tapes and CD-Roms, television shows – all institutions that, by their nature, qualify as bid‘a (reprehensible innovation), which Salafis would otherwise forbid on the grounds that these appeared after the lifetime of the Prophet Muḥammad and his early followers and which he did not explicit condone. However, it was these media through which Salafi scholars earned an income and which they justified as mechanisms for disseminating the Salafi methodology (manhaj) and creed. 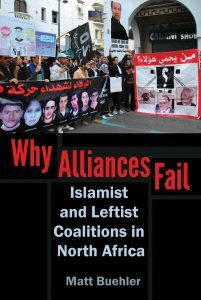 However, there is a distinction between these technological preoccupations – all of which Salafis pursued with very clear ideological ends – and the political actions and alliances that Salafis have made over the last five years. In some cases, the ideological motives were clear, in particular as these related to the sectarian nature of the Syrian civil war – this, for example, serving as a driving impetus for al-Assir’s decision to lead an armed battalion to join Sunni militants. However, taken from the perspective of al-Assir’s Salafi principles, which do not openly condone violence, we cannot explain his change in posture from being simply a vocal critic to a fighter. Al-Assir’s case is perhaps the easiest to reconcile in terms of ideology. Much harder is making the case, based on Salafi ideology, for Salafi political parties – not only in Egypt, but also in Tunisia and possibly soon in Morocco, where a new group recently formed on the model of Egypt’s Salafi Call. While these categories do roughly align with the ideological bases of these groups, they do not account for the actions these groups have taken for the simple reason that, unlike the Muslim Brotherhood, which is a modern political ideology, Salafism is a legal and theological movement. In other words, the latter is clear and consistent about the theological and legal vision it promotes but it is generally vague on the political platforms it advocates on the bases of these. Inversely, Muslim Brotherhood-type Islamists are clear about their political ambitions and far from conceptually sophisticated or consistent about the kind of Islam they promote. It is the robustness and sophistication of the former’s religious doctrines that accounts for its ideological resonance today, in which the political contexts of the Brotherhood’s rise to prominence are no longer relevant. The fluid political environment of the last five years has put into sharp relief the risks of adhering too closely to the aforementioned categories. Indeed, it is precisely the ideological unpredictability of Salafis in the political realm that has allowed many to stem the tide of political uncertainty in their local societies. More specifically, we are trying to square the circle of describing the dynamics of Salafis by way of fixed categories. While the jihadis have remained relatively consistent and predictable from the perspective of their ideological positions, for other Salafi groups there has been significant crossover, as mentioned earlier. And this crossover is bound to continue as long as the region’s local governments remain unstable and unpredictable. In earlier writings, I proposed to categorize the quietists as standing along a continuum, with absolutist quietists (or Madkhalis, eponymously named after Rabi‘ b. Hadi al-Madkhali who defined their position)– namely, those who universally advise strict obedience to local rulers – on one extreme and then a gradation of “politically-inclined quietists” who weigh in on political matters through the prism of their theological worldview yet resist becoming physically involved in them. However, while this continuum does factor in political relevance of quietists, it does not account for the very latest surprises in which some politically-inclined quietists violated a cardinal ideological principle and formed political parties. This trend, in particular among Salafis in Egypt, demonstrates the limitations of using fixed categories to describe decision-making strategies and dynamics of non-jihadis. Specifically, where these groups differ from jihadis in terms of how their actions reflect their ideology is that the latter are insensitive to the repercussions of their actions, i.e. they will act on ideological principles regardless of the physical challenges and pressures against them. In fact, they may very well become emboldened and encouraged to pursue their ideological positions further if challenged. By contrast, all other strains of Salafism seem highly sensitive to the resonance of their ideological views within local society and under local political pressures. To address these dynamics, and in particular the decision-making process that drives some quietist Salafis to become political while others to resist it, the methodological insights of game theory may be especially productive. The natural question based on this graphic is under what circumstances do some Salafis cross the dotted line and form political parties? This question may be rephrased and broadened to “under what circumstances do some Salafis violate/change/reinterpret their ideological positions?” It is a question that I have asked in the context of why some gravitate towards violent strains of Salafism why others do not. In both these cases – and one could produce many others – game theory is a relevant tool since, as Thomas Schelling explains, it describes how individuals make decisions through “rational behavior…based on an explicit and internally consistent value system.” Whereas the decision-making of individuals is not always based on rational choice, Salafis certainly claim to do so on the basis of their value system, Salafi ideology. Game theory has been introduced into political science literature to explain the process of institutional change, but not, thus far, to the case of Salafi groups. Avner Greif and David Laitin define institutions as “a system of human made, nonphysical elements – norms, beliefs, organizations, and rules – exogenous to each individual whose behavior it influences that generates behavioral regularities.” For the purposes of Salafi communities engaging in politics during the Arab Uprisings, the precise “institution” we are looking at is Salafi ideological principles of political engagement. Specifically, we are interested in two related points: first, why and when do they violate ideological principles by engaging with political institutions and processes and, second, at what point does such self-contradictory behavior become the rule rather than the exception of Salafi politics? Greif, Laitin, as well as Bruce Bueno de Mesquita and others have attempted to explain actions and statements by political leaders and the survival and adaptation of political institutions by examining the relationship between circumstantial factors in the decision-making of these groups. Greif and Laitin suggest that there exist two principal factors that influence the behavior equilibrium of institutions: “quasi-parameters” and “institutional self-reinforcement.” In other words, to extend to our case of Salafi engagement with politics, there is a balancing act between calculating personal preferences of self-preservation and ideological consistency within fluid political settings. Returning to our politically-inclined quietist Salafis whose institutions (i.e. their ideological principles of political engagement) are subject to change, these, we can argue are influenced by a combination of theological justifications and, perhaps more often, by one or several “quasi-parameters” (potential for Saudi backing, chances of survival under local government, risk of being stigmatized as ISIS affiliates because of shared ideology, risk of other Islamic political successes, i.e. Morsi’s victory and thus the ascent of the Muslim Brotherhood in 2011 (and thus their own) and so on). To paraphrase Greif and Laitin’s explanation of quasi-parameters, each of these be altered by the implications of Salafi political engagement and yet each may very well not cause the behavior associated with Salafi political engagement to change. If we take Greif and Laitin’s discussion further, we could state that these politically-inclined Salafis would be increasingly inclined to participate in the political sphere when such activity will increase the range of parameters in which the situation becomes “self-enforcing” for the institution – i.e. when the institution (of Salafi political engagement) continues to validate itself and where, in turn, more individuals and more situations would adhere to it. When does the exception become the rule? Having addressed our first question of why and when do they violate ideological principles by engaging with political institutions and processes, we can turn to the more analytically interesting second question. Namely, at what point do such “plays” in the political sphere by individuals or groups of Salafis become the rule rather than the exception of Salafi politics? Or, to rephrase this question, at what point does engagement in politics affect long-term institutional change whereby Salafis justify, on ideological grounds, their formal participation in politics – in other words, turning them into a more traditional Brotherhood-styled Islamist group. To answer this question, and to gauge how likely it is for parameters to make Salafi political participation “self-reinforcing,” we need to appreciate how Salafism emerged as a social movement during the latter half of the twentieth century. Specifically, that this process took place in the context of the popularity of Islamism as a regional political ideology, financial and institutional support from Gulf-based patrons, and the crackdown on the Muslim Brotherhood (whose political threat created opportunities for Salafis to define their alternative narrative) by local governments – in other words, favorable parameters. The evolution of Salafism in the 1990s and early 2000s was tempered by parameters that risked not enforcing Salafism, specifically, the rise and successes of Salafi-jihadism. It is under these unfavorable parameters that quietist Salafism gained relative acceptance in local communities, who marginalized it as an inward-oriented scholarly movement lacking any interest in the political sphere. Just as it is premature to make any definitive statements about politics in the Middle East today, the same is true of what we could say about non-violent Salafi communities attempting to survive within them. Yet, while our assessment of what Salafi principles of political engagement will look like in the long-term remain tentative, understanding how its leaders balance ideological robustness and personal risk as these are validated or threatened by political circumstances might be a good place to start in developing a way to speak about them. Jacob Olidort is a Soref Fellow at the Washington Institute for Near East Policy and an adjunct professor at the Elliott School of International Affairs at George Washington University.